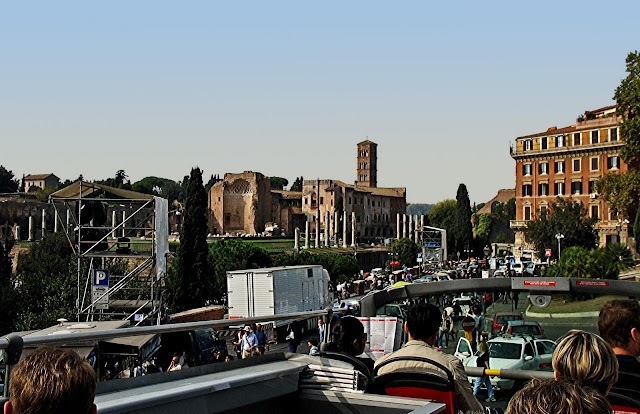 These are photographs of the city of Rome (Roma in Italian). These images can give you a feel of what the city is like. The photographs depict ordinary life in the city, and not particular monuments. 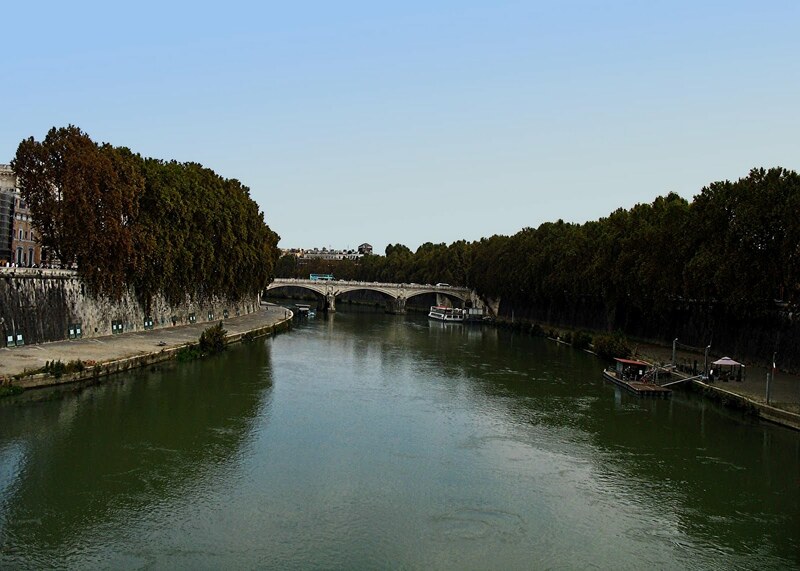 This photographs shows us the river Tiber, on the banks of which Rome was built in 753 BC. It is not the longest river in Italy but is famous for being a part of Rome. In olden times the river used to regularly flood its banks until the Romans built high stone embankments (seen in the picture below) in the late nineteenth century. Today the river is enconsed in a canal, and to enjoy its beauty one has to climb down steep steps leading to the river. Interestingly, in ancient Rome, executed criminals were thrown into the river Tiber. 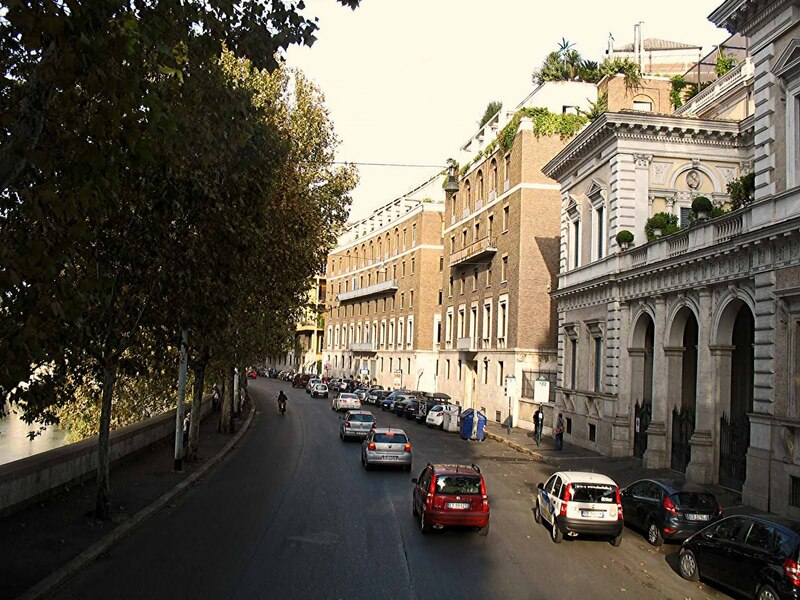 This is an ordinary street in Rome with shops and offices in the buildings. The photograph was taken from atop a tourist bus. Another Roman street, with a hotel to the right of the picture. 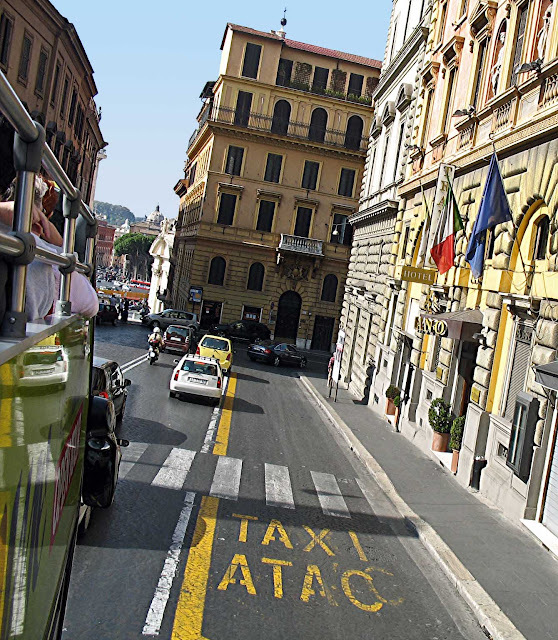 Another quiet street in Rome. 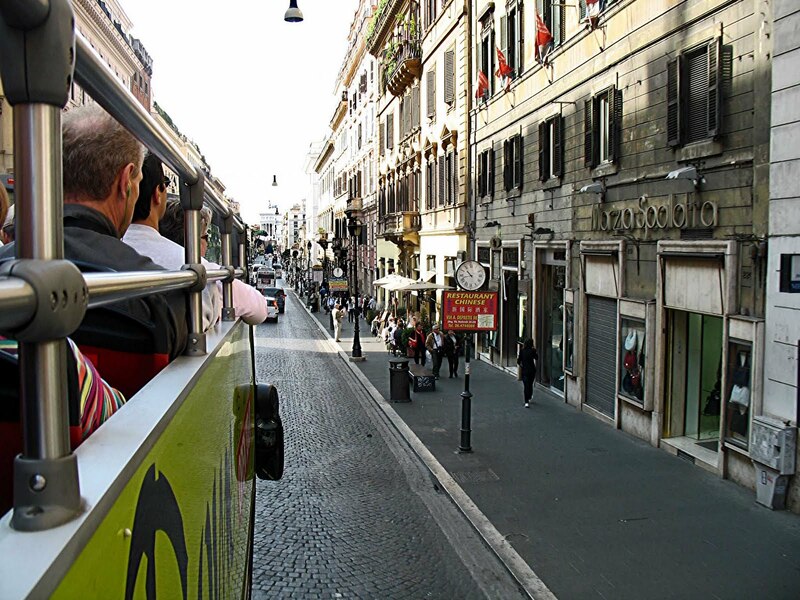 A distinctive feature of Rome are its massive and solid buildings with an old style architecture. These old buildings have been maintained well and give Rome its beauty. There are hardly an "modern" style buildings visible in the city of Rome and by that I mean ugly glass skyscrapers. Some local people and tourists can be seen here. The horse buggy is used by tourists. A tiny car can be seen in the centre of the road. Italy is famous for its small cars and here you can see how tiny the cars really are! 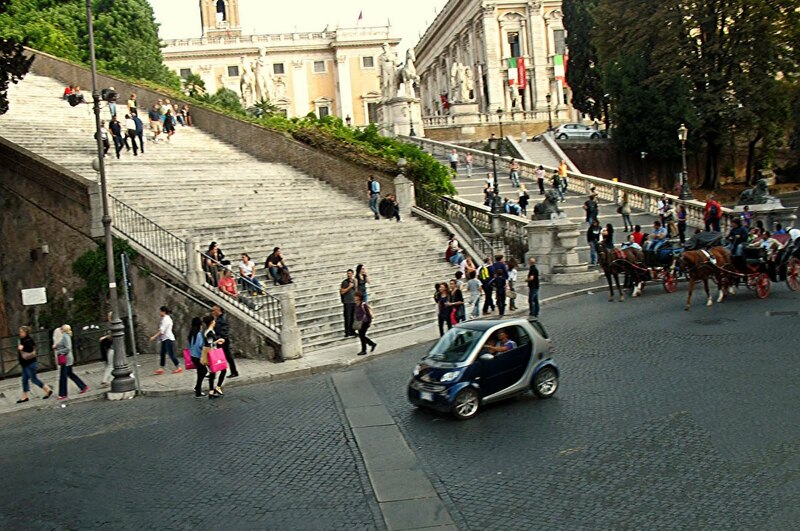 Easy to park and helps traffic move faster. 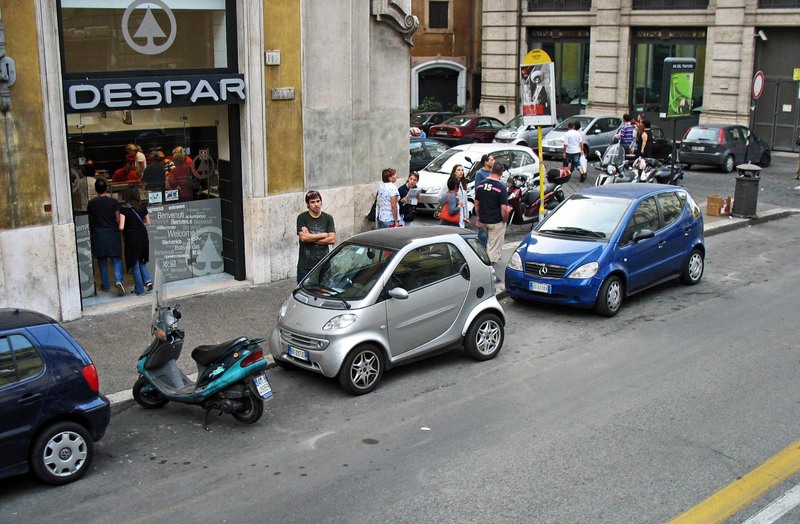 It is common to see these cars parked horizontally as well! 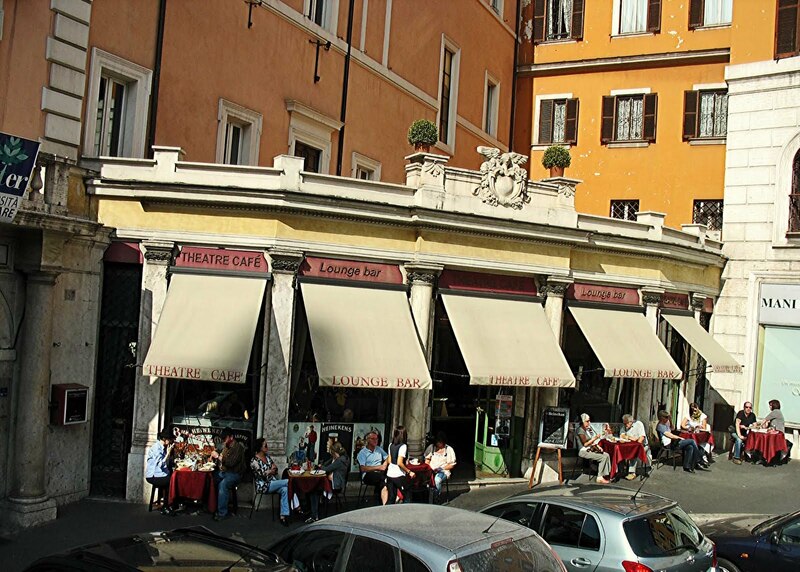 Road-side cafes are common is European cities and here is one in Rome. People hang out here for hours, just sipping coffee, or wine. A photograph shot from a tourist bus which is nearing some ancient monument, a tourist spot. This is a popular fountain in Rome. 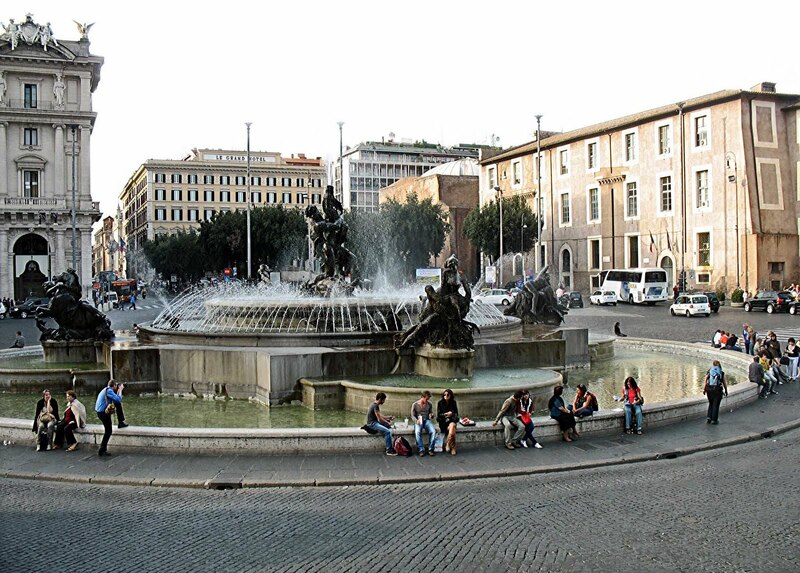 Not the Trevi Fountain, which is more famous, but the Piazza della Repubblica, a semi-circular piazza or plaza or square in Rome. It is one of several beautiful fountains in the city.